It was suggested that I buy a new bath mat for myself and let Maggie have the old one. 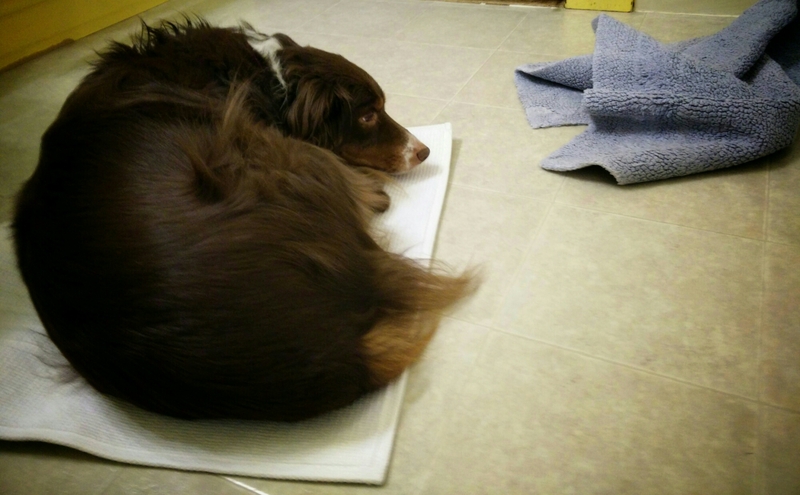 The new bath mat lasted four days before being claimed by Maggie. She likes it because it’s fluffier. (And white). White and red dog don’t match. 🙂 Maggie is very entertaining when it comes to any blanket, bedspread, covers on the couch, or bath mats. Everything but the dog mats which sit unused by my chair.